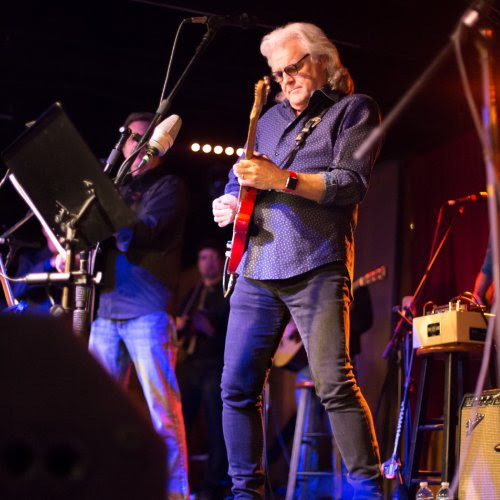 Nashville, Tenn. (July 26, 2017) — For the first time in two decades, the legendary Ricky Skaggs is returning onstage to perform a full-blown country music concert featuring the hit songs that made him a household name. On Saturday, September 2, at 7:00 PM, Skaggs will appear live at the Nashville Palace in Nashville, Tennessee where he'll plug-in and perform his tunes from the '80s. "After playing bluegrass music for the last 20 years, I'm gonna have blast plugging in my electric guitar and singing my country hits again," says Skaggs. "Can't wait! We did a test run of the show back in June and came away from it feeling great!" Skaggs promised the late Bill Monroe that he'd do his part to keep bluegrass alive. Since Monroe's passing in 1996, Skaggs has kept his promise, playing thousands of live bluegrass shows and releasing several albums dedicated to the genre. While he has no plans of ever quitting bluegrass music, he feels it's time to dust off the songs that made him famous. Those in attendance can expect to hear Skaggs perform many of his chart-topping songs including "Highway 40 Blues," "Honey (Open That Door)," "Heartbroke," "Country Boy," and "Uncle Pen," among others. Tickets to Skaggs' country show go on sale today and can be purchased by clicking HERE. Prices range from $20-$200. The Nashville Palace is located at 2611 McGavock Pike in Nashville.